We would like to welcome Greg Steffen, the new tower manager at BZN. Greg is originally from Kentucky. He spent 29 years with the FAA and now six with SERCO in air traffic control. Throughout that time he has worked at 10 different locations - towers as busy as Cincinnati and as slow as Pago Pago, AS. He moved to Bozeman from Kalispell and this is the fifth tower he has managed. The main runway at BZN, runway 12/30, was last rehabilitated in 2003. 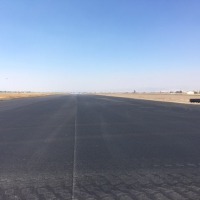 Asphalt has a lifespan of about 15 years when subject to the forces of aircraft landing and taking off on a regular basis. 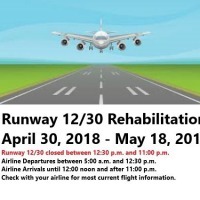 Consequently, after thorough planning and coordination, we have scheduled the rehabilitation of runway 12/30 beginning on April 30, 2018 and continuing through May 18, 2018. 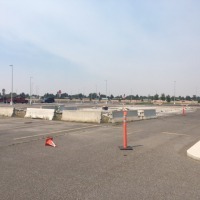 Remnants of the final car condo after removal in August 2017. BZN has a new website! Our new, modern, and responsive site not only serves tourists and locals, but also the general aviation community and those looking to do business with the airport. When it came time for a fresh new site, we went yet again, with JTech Communications, a local Bozeman company with more than 20 years of experience. 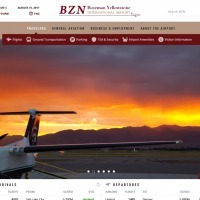 We hope you like the new and improved bozemanairport.com! Preliminary schedules for Winter 2017/18 include non-stop service to fourteen destinations. 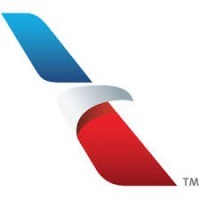 The following is a recap of the winter flight schedules offered by destination as of 8/28/2017 (schedules subject to change). BOZEMAN, MT (August 8, 2017). 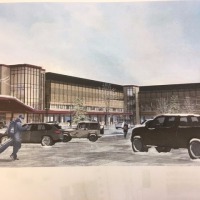 Bozeman Yellowstone Int’l Airport (BZN) is pleased to announce a major ski/winter season expansion by United Airlines. 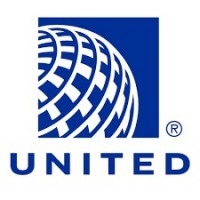 United’s expansion at BZN will increase the number of flights and available seats to San Francisco, Los Angeles, Denver, Chicago, Houston and New York/Newark resulting in a nearly 30% increase in service to BZN during the winter season and up to twelve daily departures during peak season. Click here to view the agenda for the Board Meeting to be held Thursday, August 10, 2017 at 2:00pm.